During more than 13 years of serving the Lord, Pastor Ganesh became intimately acquainted with suffering. He sat by many deathbeds. He prayed over many people desperate for healing. Seeing men, women and children made in the image of God but crippled by sickness burdened the pastor’s heart. 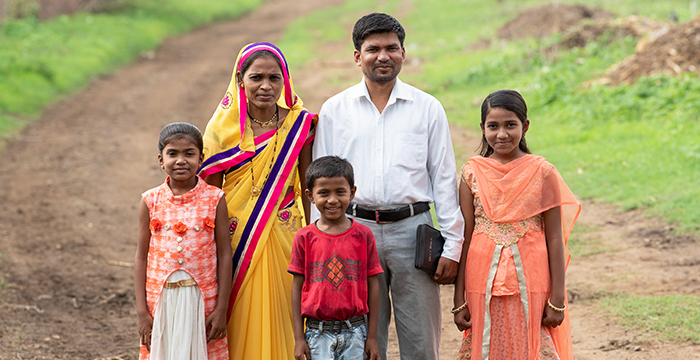 Pastor Ganesh knew that many of the illnesses rural families suffered from were treatable, even preventable. He wanted to help those in the surrounding communities live longer, healthier lives. He wanted people to live long enough to hear about the new life offered in Jesus. 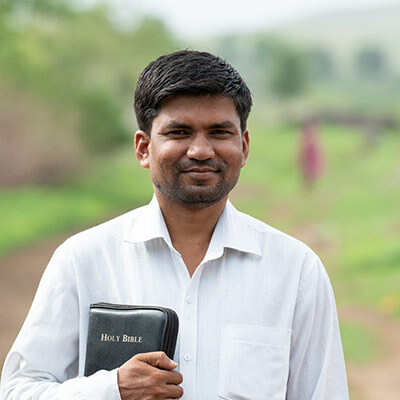 Where Pastor Ganesh serves, remote villages are scattered about, loosely connected by crumbling country roads. These villages, separated by a patchwork of farms, do not have a medical facility. The nearest health center is 12 miles away, and the nearest hospital is 40. The primary mode of transportation for these villagers? Walking. Most residents are too poor to own a vehicle. Public transportation on these back roads is unreliable and expensive, costing up to one third of a day’s wage. Transportation is not the only hindrance to the sick seeking medical treatment. Most people work as day laborers. Missing work means missing that day’s pay—and maybe that day’s meal. And if someone finally goes to a health center? The doctor visits and medications must be paid for out-of-pocket. Selling land or farm animals to pay for doctor visits and treatments often sinks a family into greater poverty. Families living in rural poverty do not have access to—or the money for—basic health needs. Children like this little girl grow up never learning how to protect themselves from illness, often leading to preventable and curable diseases like typhoid, malaria and diarrhea. Put simply, many poor patients are plunged further into poverty by seeking medical attention. It is not surprising then that many villagers seek help from local witch doctors and traditional practices that can actually make their conditions worse. As Pastor Ganesh faithfully ministered to these rural communities, he knew many needed to see a doctor but could not. He prayed for the Lord to show him how to help break the cycle of poverty and illness that so many were trapped in. After some time in prayer, Pastor Ganesh decided to organize a free medical camp. At the camp, locals could be seen by a doctor and prescribed medications at no cost. Pastor Ganesh reached out to the nearest hospital for help. The hospital generously donated medication to be dispensed under the supervision of a doctor. Next, Pastor Ganesh needed to secure doctors to see the patients. Two doctors agreed to travel to the remote location and see more than 100 patients each in one day. Pastor Ganesh and his wife (pictured) traveled to remote villages to tell residents about the free medical camp. More than 200 villagers came for treatment. As the day approached, Pastor Ganesh went from village to village, some as far as 10 miles away, handing out flyers about the free health care offered at the medical camp. His whole congregation pitched in—youth volunteered to set up, and the Women’s Fellowship provided snacks for patients waiting to be seen. 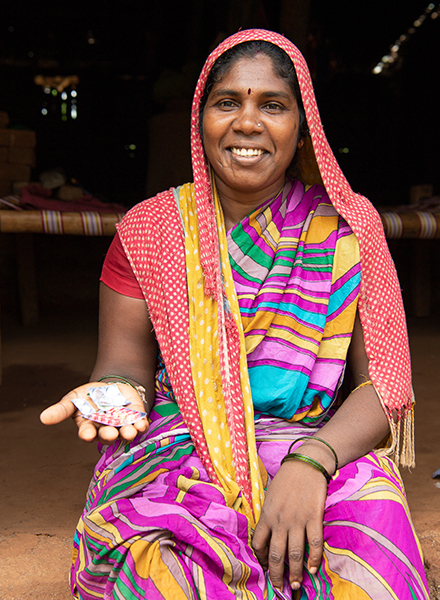 Rita traveled more than seven miles to attend the medical camp, which she heard about through Pastor Ganesh’s flyers. She had suffered numbness in her hands and legs for more than a month, forcing her to abandon her work in the fields. Even household chores such as cleaning and cooking became impossible. Desperate to see a doctor, Rita made the difficult journey. On the morning of the medical camp, a brightly colored tent covered the courtyard of Pastor Ganesh’s church. A throng of people gathered under it. Sisters of Compassion patiently checked in fathers, mothers and small children wanting to see the doctors. Pastor Ganesh went from group to group helping volunteers and ministering to the sick. That day, Dr. Aarpit Nipun and his colleague saw more than 200 patients and gave out free medication to those in need. When it was Rita’s turn to see the doctor, she told him the history of her symptoms. Dr. Nipun asked many questions and prescribed medications for her pain. He counseled her to seek treatment in the hospital if her condition worsens. 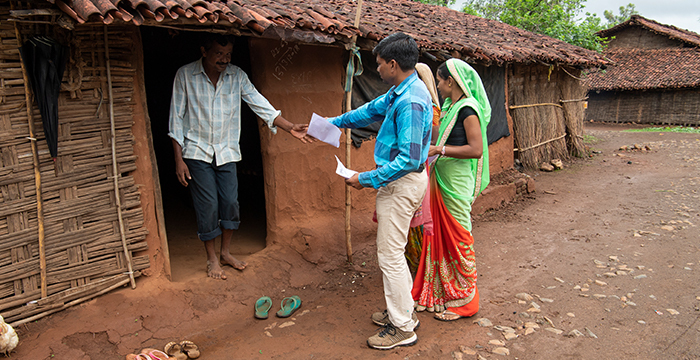 Giving careful, thorough examinations, Dr. Nipun (pictured) prescribes medication donated by a hospital. Dr. Nipun was impacted by the poverty and sickness he saw at the remote medical camp and offered to come free of charge to future GFA-supported medical camps in the area. Because of the medication prescribed to Rita at the medical camp, the pain in her limbs subsided. Rita was soon able to gather water and complete household chores that she had previously been unable to do. Unlike Rita, many other women waiting to see Dr. Nipun were too shy to share their symptoms. Because of these cultural obstacles to women seeking medical attention, Sisters of Compassion were available to listen to women’s more sensitive symptoms and complaints. They would then relay this information to the doctor on behalf of the patient. This helped many women get their health needs met while retaining their dignity. Rita is grateful for the free medication she received at the medical camp. Because of the medicine, her pain subsided, and she is able to accomplish daily tasks that had been impossible before. At the end of the day, the doctors had seen more than 200 patients—patients whose basic health needs are often neglected. Medical professionals distributed medication, including vitamins for pregnant women and children. Dr. Nipun, touched by the poverty and sickness of the patients, volunteered to serve again. Pastor Ganesh rejoiced that so many received the medical care they desperately needed. Grateful that God provided for the medical camp, he prayed God would touch many people’s hearts with His love. Pastor Ganesh also prayed people would experience the gift of eternal healing by the Great Physician, of which the free medical camp was a perfect picture. GFA-supported medical camps are bringing wellness to some of the 3.8 billion people in the world who lack access to basic health care. At these camps—often hosted in rural villages without medical facilities—many participants are visiting a doctor for the first time. Medical camps also aim to educate by addressing false beliefs and fears and correcting misinformation. 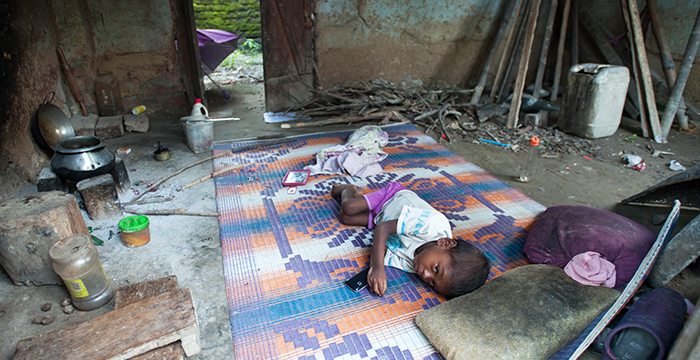 If left untreated, illnesses with simple remedies become life-threatening in these poor, rural areas. What’s more, lacking access or the resources to buy vitamins, fruit and vegetables makes many people vulnerable to simple ailments such as diarrhea and shingles. 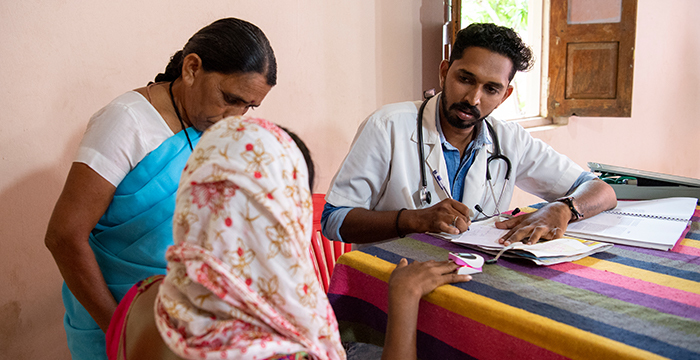 Organizing a medical camp was a practical way for GFA-supported pastor Ganesh to meet the needs of the rural, poverty-stricken villages he ministers in. As people experience God’s healing through medical care, they also hear about the life to come available through faith in Jesus. Although access is still a huge barrier in rural communities, along with lack of knowledge of hygienic practices, GFA-supported medical camps can come alongside these communities, bringing health care to entire families. 1Psarris, Emily. Solutions to Poverty-Line Problems of the Poor & Impoverished. Gospel for Asia. www.gfa.org/special-report/solutions-extreme-poverty-line-poor-impoverished/. November 15, 2018. 2Tracking Universal Health Coverage: 2017 Global Monitoring Report. World Health Organization and International Bank for Reconstruction and Development / The World Bank. http://pubdocs.worldbank.org/en/193371513169798347/2017-global-monitoring-report.pdf. 2017. 3Ballesteros, Carlos. Half of World Lacks Access to Basic Health Care: Report. Newsweek. https://www.newsweek.com/world-bank-who-health-care-poor-global-access-748117. December 2014. 4Chipman, Andrea. Access to Healthcare in Asia-Pacific. The Economist Intelligence Unit. http://accesstohealthcare.eiu.com/wp-content/uploads/sites/42/2017/06/AccesstohealthcareinAsia-Pacific.pdf. June 2017.